Some more cat and mouse games! 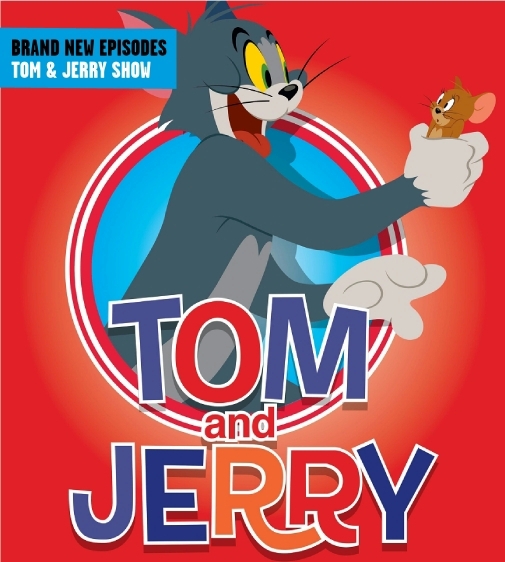 According to the Generation Next Study 2016, Tom & Jerry was voted as South Africa’s number one kids show, with the iconic cat and mouse being two of the most favoured characters in cartoon history. Now, the iconic rivals are back in the all-new TOM AND JERRY SHOW, a fresh, new take on the classic series. Tune-in to Boomerang and watch as Tom and Jerry team up to help Spike remove a tooth and prepare themselves for picture day, only to find themselves dirty, covered in mud and ready for the dreaded bath that Spike and Tom were both trying to avoid. Bring the carrots and…let the fun and games begin! Bunnicula is based on a best-selling children’s book which follows the life of a friendly, super-cute, vegetarian vampire bunny rabbit who, instead of drinking blood, drains the juice of vegetables – especially carrots, to fuel his supernatural, paranormal abilities. Tune-in to Boomerang and watch closely as Bunnicula gets twisted up in a supernatural romance with an evil vegetable doll, saves Chester from a sinister Venus trap and assists Weredude and Chester, after both having fallen in-love with the same girl – Elvira. Its holiday time and Boomerang would like to celebrate with you! We have gathered all your favourite Boomerang characters together for one massive block of all your favourite shows, back-to-back such as Wabbit, Zig & Sharko, Tom & Jerry, Bunnicula, Mr Bean and Oggy and the Cockroaches. To add to the excitement of things, Boomerang will be introducing a new family to the Boomerang team – Meet The Happos Family, a mischievous family of hippo’s that live in a safari park. By day, The Happos are just your regular lazy hippo’s oating in water, but best believe, at night, when all the visitors have left, The Happos burst out of the water and embark on a series of adventures across the park.